Leawood, KS — March 21, 2018 — Agspring has named Mike Hallman vice president of sales. In this newly created corporate position, Hallman is responsible for direct sales, distribution, broker sales and customer relationship development for the corporation and its subsidiaries. Hallman brings extensive food ingredient sales management experience to the Agspring team including DuPont, CP Kelco and IFF. Hallman leads the sales growth of the company’s specialty grains businesses, gluten-free ingredients from Firebird Artisan Mills, and milling-quality and cleaned wheat from Thresher Artisan Wheat, building new customer relationships and driving additional sales opportunities with existing ones in areas such as product research and development. 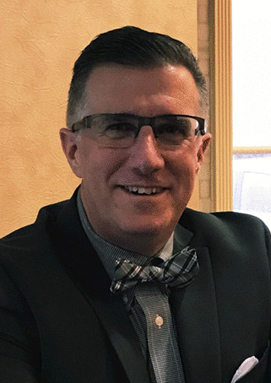 Hallman has more than 25 years of experience in specialty food ingredients with the most recent 18 years at DuPont Nutrition and Health as a sales lead for the Meat and Culinary and Nutrition segments in North America. He also brings valuable experience to structure, plan and focus the business for growth with strategic accounts and distribution-channel sales. His experience leading sales and managing a broad portfolio of functional and nutrition ingredients across multiple food industry segments will bring value to multiple Agspring market segments including consumer packaged goods companies. “I’m excited to have a sales leader of Mike’s pedigree on the team. His food ingredient and supply chain experience show he will provide new product development value to our diverse downstream customers while growing incremental revenue in the gluten-free and milling-quality wheat ingredient spaces,” said Agspring CEO Mark Beemer. Hallman has built a diverse portfolio selling specialty valued food ingredients such as soy protein, food protection hydrocolloids, emulsifiers, systems, enzymes, high intensity sweeteners, flavors, probiotics, and fibers across broad food applications, spanning a variety of industry segments.